To ensure that every has a good time, please read the rules below. It is important that everyone be kind and fair to make this the most fun for everyone. Rules will be posted throughout round 1 and then a link will be provided to them. 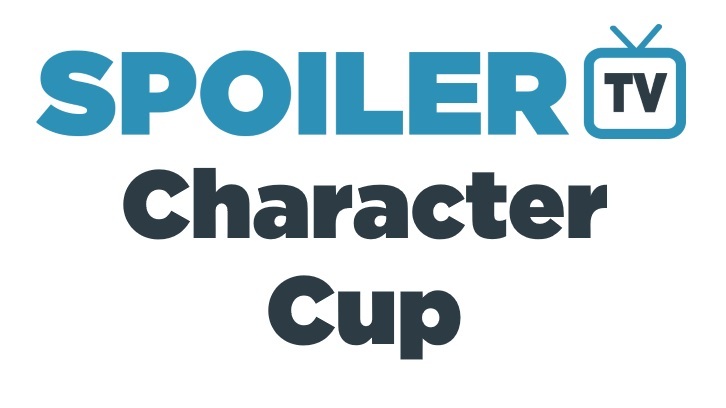 There are also links below to the list of character rankings and official bracket. Once round 1 is over, these will contain stats about the contest as well. The daily TV Talk Topic will be found above the polls each time. With no further ado, I announce this contest, open! Happy voting! 1. Don't take it seriously! Have fun. Discuss a lot. Play nice. 2. Focus on characters, not people. Talking about what you like and dislike about a character is encouraged. Going after actors or fans is not. 3. The aliens have not landed. There's no conspiracy here. I will do my very best to keep the contest running smoothly, but just like with the original rankings, I do make mistakes. I apologize in advance for any technical difficulties, spelling errors, and general absentmindedness. Let me know and I'll fix it. 4. Comments are life. As you anxiously await the return of your shows, why not distract yourself with a little TV Talk? Each day is a new topic so even if your favorites are out, you can still discuss. While this contest is just a silly piece of internet fluff, the conversation here dives deep, so jump on in. 5. Nuts and Bolts - All polls are active for about 24 hours. The winners advance to the next round. In the case of a tie, both characters go to the next round. New polls should go up every day and polls may sometimes overlap each other. Any questions? Ask away in the comments. TV Talk Topic: Who’s Your Final Four? Normally the first thing we discuss is the characters that almost made it in, but this time I want to tweak that a bit. If you were creating your own TV bracket of the best characters in all of TV history, who would be on it? What would your top 8 be? Who would advance to the Final Four? Can you even pick a #1? What characters never get into the contest, but you think deserve a lot more attention? What would your childhood top 4 look like and how would it compare to now? Would you have an specialty top 4 (antiheroes, sci-fi characters, superheroes, historical drama characters, etc. )?